How does this offer compare with Optus Fusion Bundles? 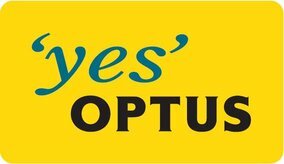 Optus has recently re-affirmed their commitment to fixed-line broadband – that is, ADSL and Cable. It’s a welcome change for Australia’s 2nd largest telco, which has been stuck in neutral for a while, concentrating on mobiles and mobiles broadband. Click here to check out our take on Optus' mobile equivalent - $89 with a free handset and 50GB free broadband. Optus has plenty to crow about when it comes to fixed line broadband. With 350+ ADSL2+ enabled exchanges and their own HFC Cable broadband serving some 20% of homes in major capital cities, they have a presence that is by both measures 2nd only to Telstra’s. In ADSL2+ they’ve halted expansion in the last year, allowing iiNet/Internode and TPG to overtake- but not by much, and without any Cable at all. Optus’ Fusion Bundles remain hard to beat, as the most widely available plans that offer high data quotas, free calls to landlines and free calls to Australian mobiles – most similar plans rely on expensive calls to mobiles to get some revenue. But the Fusion plans, at $80 - $109 a month, are a bit old fashioned. Call Optus on 1300 137 897 for this plan. Good question (Thanks, Adam!). It's for people who still rely on a landline for their calls, and who could take or leave a broadband service. That's certainly some people out there, but based on the types of enquiries we get, I'm going to re-iterate that this is a companion to the mobile version of this deal, rather than the starring attraction. 2. Free connection and free Wi-Fi modem for the Broadband connection, with no contract – and you get Cable if it’s available! 1. The whole thing is a little fiddly – Excluding the mobile calls makes this whole thing confusing, when comparing it to the similarly priced Fusion bundles. 2. 50Gb is good, but that’s it. The vast majority of people out there will be fine with 50GB, but if you need more, you’re out of luck – there is no option to change to a higher plan. If you do, it’s a normal Optus broadband plan, which will cost you between $60 and $110 a month. You can’t buy additional data packs. That’s limiting. 3. Who wants to be on a 24 month contract for your home phone? Most 24 month contracts pay for free equipment, whether it's a mobile phone or a modem. Fusion Bundles - Optus'own Fusion bundles start from $79, and include 120GB and the same free call options, but with calls to Optus mobiles included. For $109, you get 500GB, and calls to all Australian mobiles are included. There's definitely a big difference there - and you'd have to be making a whole bunch of mobile calls to bridge that $60 difference, but this level of granularity between plans makes Optus look chaotic, like a whole bunch of different marketing departments fighting with each other. Meanwhile, TPG offers a $70 plan that includes Unlimited data, Unlimited landline calls and 100 free international minutes. Calls to mobiles are on top of that, but overall, the TPG plan is cleaner and easier to understand. The best way to approach this plan is as a $60 bundle with 50 Gb of data. At that rate, it's barely competitive. Unless you're desperate for a home phone with MOSTLY great value calls included, this plan will only suit a small fraction of people. Check out the $89 Mobile + 50GB free broadband deal to see a plan that offers somewhat better value for the average consumer.